Iranian President Hassan Rouhani on Tuesday presented the country’s new state budget for next year, vowing in a televised speech that reimposed sanctions by US President Donald Trump won’t bring Tehran “to its knees” but acknowledging that they will hinder the economy and affect people’s lives. Rouhani presented an annual state budget of some 4,700 trillion rials ($47 billion), for the next Iranian year, which begins on March 21, according to Reuters. 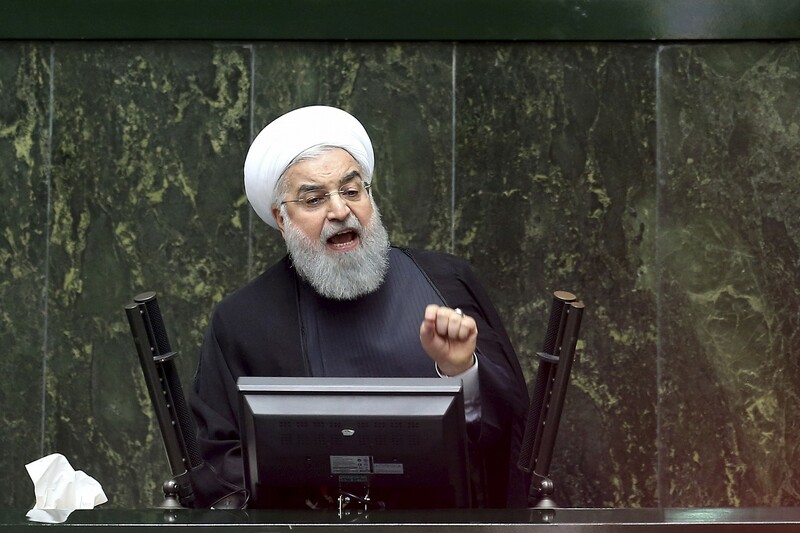 Earlier this month, Rouhani called the US sanctions “economic terrorism” that would harm efforts to fight terror and drug-smuggling, as well as lead to an increase in the number of asylum seekers. “I warn those who impose sanctions that if Iran’s ability to fight drugs and terrorism are affected… you will not be safe from a deluge of drugs, asylum seekers, bombs and terrorism,” he said, according to Reuters. “America’s unjust and illegal sanctions against the honorable nation of Iran have targeted our nation in a clear instance of terrorism,” Rouhani said in a televised speech from a conference on terrorism and regional cooperation attended by parliament speakers from Afghanistan, China, Pakistan, Russia and Turkey. This entry was posted on December 25, 2018 at 5:06 PM and is filed under Uncategorized. You can subscribe via RSS 2.0 feed to this post's comments. You can skip to the end and leave a response. Pinging is currently not allowed.